Six of 10 openly LGBT candidates won their primary races Tuesday; three lost; one race is still undetermined. 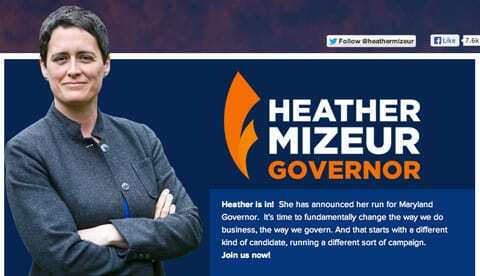 Lesbian State Delegate Heather Mizeur was not one of the winners, but she made a strong showing in third place, just one point behind the state’s attorney general. Mizeur garnered 19 percent of the vote, putting her in third behind Attorney General Doug Gansler with 20 percent, according to the Maryland State Board of Elections. Some political observers think Mizeur “outshined her male opponents” during the campaign, said MSNBC’s Chuck Todd on the Daily Rundown Tuesday morning. But the primary winner, Lieutenant Governor Anthony Brown with 58 percent of the vote, had at least two advantages over Mizeur: He was running to become the state’s first African American governor in a state with a 30 percent African American population, and he won the endorsement of the statewide LGBT group Equality Maryland. For full election results, see related story. 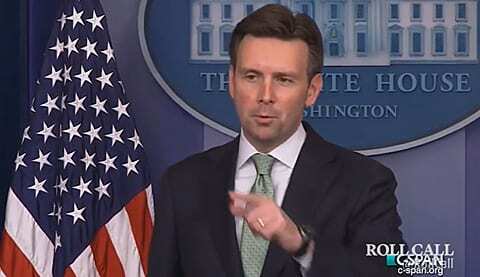 White House Press Secretary Josh Earnest said during his daily press briefing Tuesday that he does not know whether the executive order that President Obama will sign prohibiting discrimination based by federal contractors will include an exemption for religious entities. And just as he was asked about the timing of the announcement last week that the President would sign such an order, a White House intern standing in the briefing room fainted and Earnest ended the press conference. 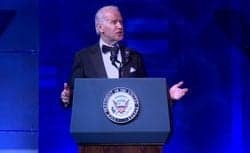 Speaking at a reception he hosted for participants and supporters of the White House Forum on Global LGBT Human Rights, Vice President Joe Biden said LGBT people coming out to family and friends is driving enormous progress in attitudes of ordinary Americans. “They are the majority, and those other folks, they are the troglodytes," said Biden, according to a White House pool report. A federal district court judge in Virginia Tuesday ordered the U.S. to pay the National Organization for Marriage $50,000 for over an accidental public release of tax documents with confidential information that should have been redacted. Judge James Cacheris had ruled June 3 that an Internal Revenue Service clerk had mistakenly released the information to a member of the public who then shared it with the Human Rights Campaign and others. While Cacheris said he did not see evidence the release was deliberate and politically motivated, he said the IRS bears some responsibility for the legal expenses NOM incurred as a result of that error. NOM can still sue to recoup attorneys fees. The Ninth Circuit U.S. Court of Appeals announced Tuesday it would not grant a request from one of its own judges for a full court review of a panel decision requiring heightened scrutiny of laws that disadvantage people based on sexual orientation. Ninth Circuit states now bound by that panel decision in SmithKline v. Abbott include Alaska, Arizona, California, Hawaii, Idaho, Montana, Nevada, Oregon, and Washington. 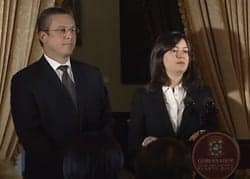 The Puerto Rico Senate on Monday confirmed the nomination of lesbian attorney Maite Oronoz Rodríguez to serve on the Puerto Rico Supreme Court. Rodríguez is director of legal affairs for the city of San Juan. The vote was 16 to 10. The openly gay chairman of the Export-Import Bank will be in front of a House committee this morning. The bank, which provides billions of dollars in loans to companies producing exports, needs reauthorization by Congress on September 30, but newly elected House Majority Leader Kevin McCarthy is against it.